The Thames Diamond Jubilee Pageant promises to be the most spectacular nautical event seen in London for 350 years. 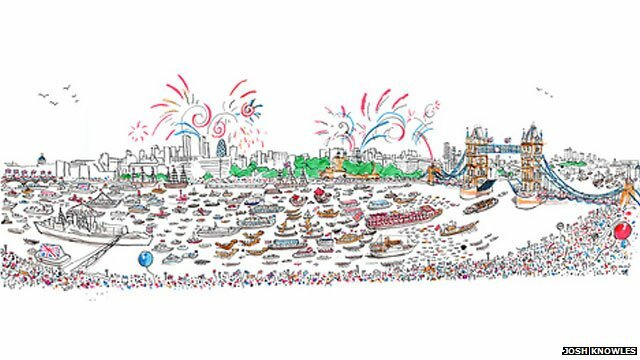 On 3 June, more than 1,000 boats will celebrate the Queen's 60-year reign and Britain's maritime history by sailing down the River Thames. Use the navigation bar or drag your cursor around the image to see photos, video and a route map. The flotilla of more than 1,000 boats grouped in sections sets off from Battersea Bridge at high water on 3 June. Drag the image or navigation bar and click on labels to get a sneak preview of some of the hundreds of vessels taking part in the biggest event of the Diamond Jubilee year. Eight specially cast Royal Jubilee bells will be housed in a floating bell tower on a belfry barge. The largest of the eight bells is called Elizabeth. 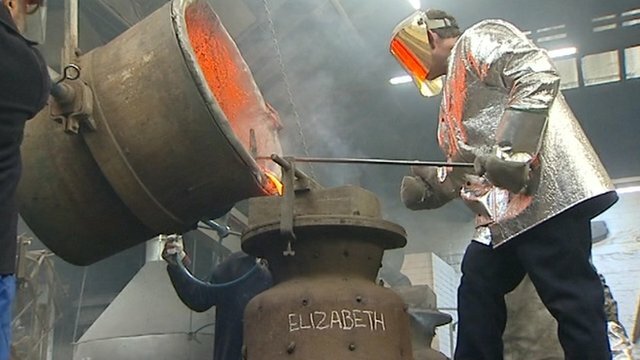 It was donated by the Worshipful Company of Vintners, weighs half a ton and was cast at the Whitechapel Bell Foundry in east London. The other bells will each be named after senior members of the Royal Family - Philip, Charles, Anne, Andrew, Edward, William and Henry. Eight change ringers, members of the Ancient Society of College Youths, will form the Royal Jubilee Bellringers. They will ring a quarter peal, with churches along the route and around the country providing an answering peal. After the Pageant, the Royal Jubilee Bells will be housed at the Church of St James Garlickhythe in the City of London. Music is a key feature of the Diamond Jubilee Pageant. Musicians will perform specially commissioned pieces on 10 music herald barges separating each section of boats taking part. Aboard the final music herald barge will be the London Philharmonic Orchestra, performing pieces linked to buildings on the banks of the river, such as theme tunes to Bond movies as they pass the MI6 headquarters and The Dambusters theme tune near the RAF memorial. The Ancient Academy of Music will play Handel's Water Music on 18th century instruments - amplified by 21st century technology for the millions watching the spectacle. Here, you can listen to Alla Hornpipe movement from Water Music Suite No 2 to get you in the mood for the big day. This replica of a Tudor merchant sailing ship represents vessels that plied the Thames during Henry VII's reign. The ship will be moored at Butler's Wharf on the Avenue of Sail with paying guests and other dignitaries on board enjoying the pageant festivities. In 1497, Italian-born explorer John Cabot left Bristol on this little boat hoping to find a new route to Asia. Three thousand miles later he landed at what he called New-Found-Land in what we now know as North America. 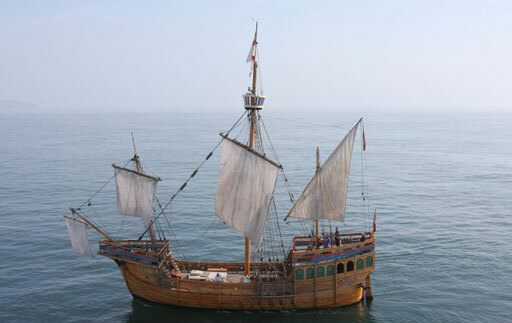 The replica Matthew made the same journey in 1997. The Matthew is based in Bristol Harbour but frequently unfurls her sails for trips round the harbour as well as film projects. Tall ships unable to pass under London's bridges will be moored on both sides of the River Thames forming an Avenue of Sail, stretching from London Bridge to Cherry Garden Pier in Wapping. As well as 56 sailing ships, you will see warships, Thames sailing barges, cocklers, oyster smackers, eel barges, herring drifters, fishing trawlers and tugs moored along the river. 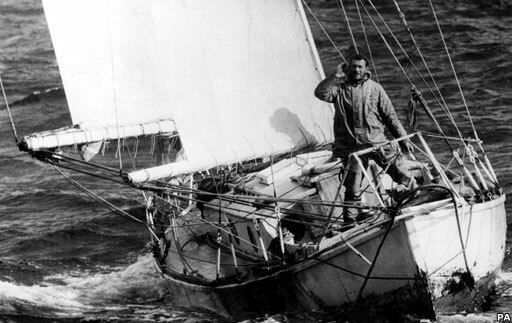 They include Amazon, a 127-year-old yacht present at Queen Victoria's Diamond Jubilee celebrations and the Suhaili, pictured here in 1969 when yachtsman Sir Robin Knox-Johnston became the first person to sail her solo non-stop around the world. More than 40 years on, he will be back on board the Suhaili for Sunday's pageant. 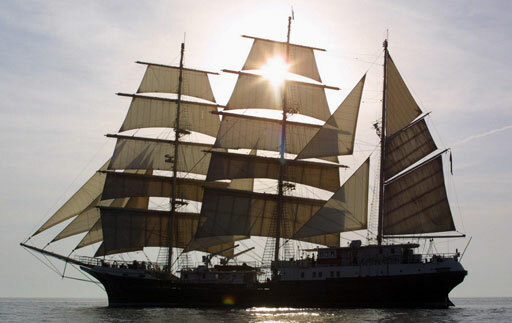 Tenacious is a tall ship built in 2000 by the Jubilee Sailing Trust charity and designed to be sailed by both able-bodied and disabled crew members. She will join the pageant just days after completing a 3,000-mile voyage across the Atlantic. Able-bodied and physically disabled crew members are paired off in in a "buddy" system and there are cabins designed for wheelchair users on board. People who are visually impaired, amputees and those with other forms of physical disability can benefit from a sailing experience as well. "Someone who has had a disability for a long time may have been wrapped up by society in cotton wool and told, "You can't do this and you can't do that." But here that's all gone - everyone is equal," said ship's medical purser Carol Redgrave. The Shropshire Lad narrowboat is crewed by 12 military personnel, eight of whom were wounded in Afghanistan, Iraq and other theatres of war. They are travelling from North Shropshire to London along rivers and canals over a period of three weeks, canoeing, cycling and crewing the boat through more than 200 locks. 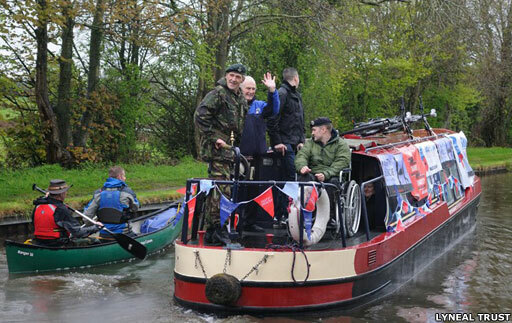 A second narrowboat, the Shropshire Lass, will follow on, crewed by members of the Lyneal Trust which proves canal boat experiences for disabled people. "The ultimate prize is the Pageant," said Lt Col Guy Chambers, who is organising the trip. "We see this as a significant challenge and opportunity for our wounded and injured soldiers and a path to their recovery." 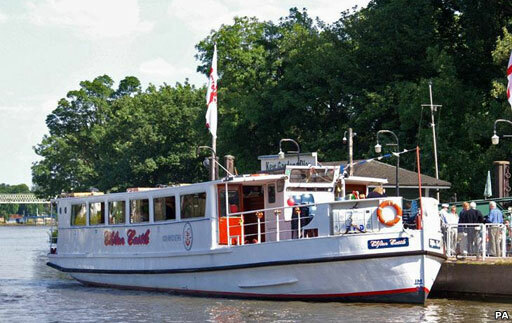 One of the 67 passenger boats you might see on the day of the pageant is the Clifton Castle, pictured. It took part in the D-Day landings and is joined by four other sightseeing vessels belonging to Thames River Boats. Also, look out for the amphibious DKUW from Duck Tours. Half boat, half truck, it was designed in the USA during World War II to unload cargo onto beaches where docks had been destroyed. In contrast, Thames Clippers will be sending out four sleek, super modern boats from its fleet - Cyclone, Aurora, Monsoon and Tornado. Sixty canal boats, once the only way to transport goods around the UK, will ply their way down the Thames on 3 June as part of the grand flotilla. 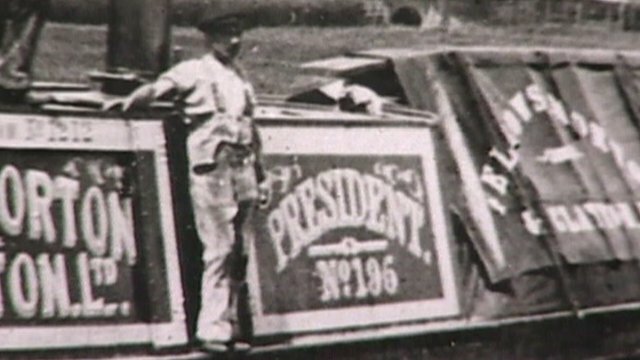 In this video clip, the skipper of President, David Powell, talks about the history of one of the world's only surviving steam-powered narrowboats. 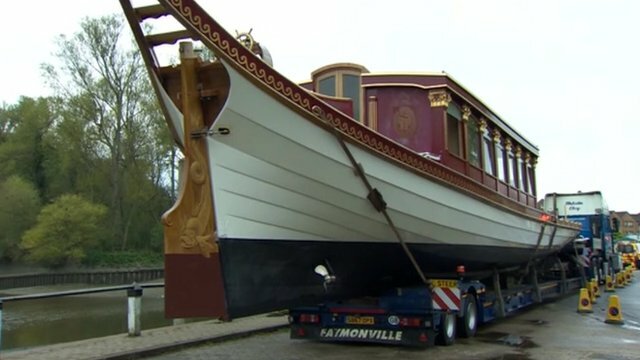 Representing Staffordshire in the Diamond Jubilee Pageant, the narrowboat will have made a 336-mile (540km) journey from a West Midlands museum to London for the Pageant. The boat is owned by the Black Country Living Museum in Dudley. A handful of restored Thames sail barges, once used to transfer cargo from large ships to shore, will be moored on the Avenue of Sail for the public to admire. Sixty motorboats from yacht clubs around the country have been chosen to join the River Thames pageant. They include: Shaken Not Stirred, aptly named for its part in the opening sequence of Bond film The World Is Not Enough; Siku Kuu, from Kenya with the Kenya High Commissioner on board; Wetwheels, skippered by a wheelchair user and with children from Naomi House Hospice aboard. 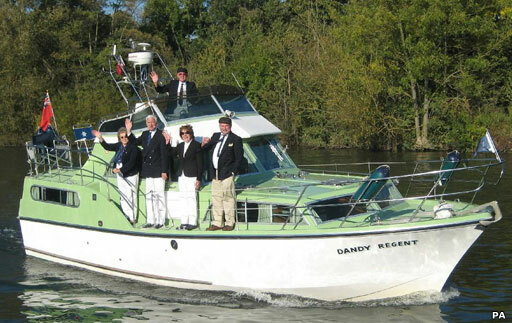 Pictured here is Dandy Regent of the Association of Thames Yacht Clubs. The Solar 32 motor cruiser will be representing the Duke of Edinburgh Awards Scheme. Built in 1883, the Alaska is the oldest working vessel on the Thames. 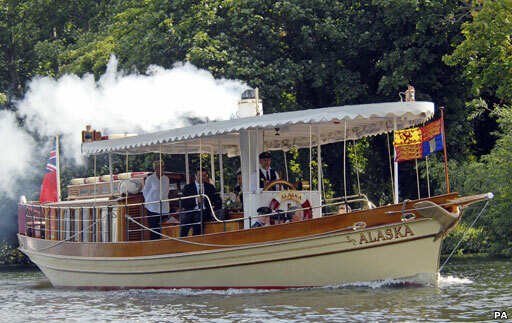 In 2009 the Alaska became a Royal Barge for the day when the Queen went aboard to watch a swan-upping ceremony. "The vessel will be decked out from stem to stern with red, white and blue bunting ... with all brasswork polished and the skipper and engineer sporting their Victorian style boatmen's uniforms," owner and skipper Peter Green of Thames Steamers told the BBC. "Let's hope the weather behaves itself!" London Fire Brigade's most famous fireboat will be joining the flotilla on the day of the pageant. Now retired, the Massey Shaw, rescued about 500 soldiers from the shallow waters off Dunkirk and ferried them to larger ships off shore. The flag from the boat was used to bandage an injured soldier's arm. 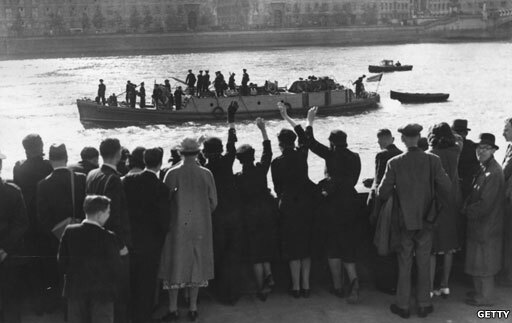 Here the Massey Shaw is pictured sailing up the River Thames in June 1941, being greeted after its heroic Dunkirk rescue. 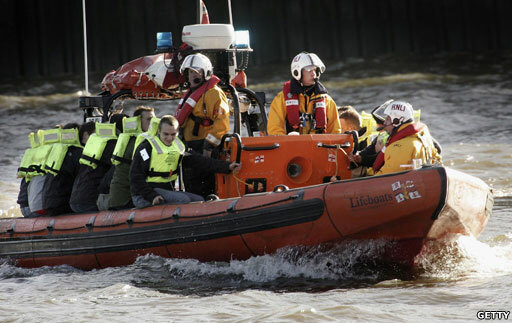 On June 3, the pageant will also see one of London Fire Brigade's two current fireboats the Fire Flash taking part, as well as the 1970s restored Fire Hawk, Gloucestershire Marine Rescue 1 and Merseyside Marine Rescue 1. More than 140 historic boats will cruise down the Thames in honour of the Queen. Vessels that played an important part in World War II will be represented by Air Sea Rescue, Air Force Rescue, the British Army, and the Royal Navy. 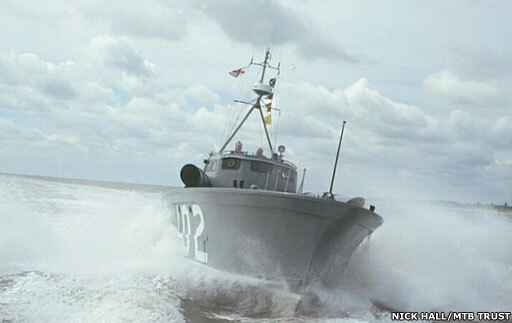 RAF high-speed launches like the HSL-102, pictured, was one of 22 rescue boats based around the coast of Britain that saved the lives of more than 13,000 airmen from the seas. In 1941 the HSL-102 rescued 38 aircrew from the North Sea - including the crews of two German bombers. 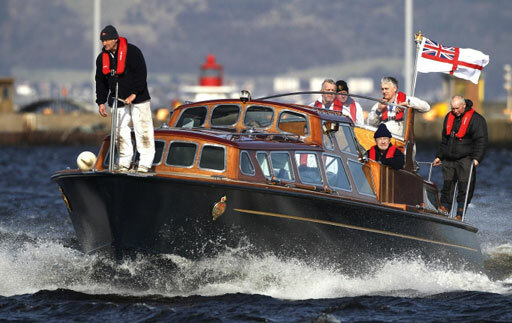 She was restored in 1993, re-launched by the Queen Mother in 1996 and has acted as a royal barge for the Duke of Edinburgh and the Duke of Kent. 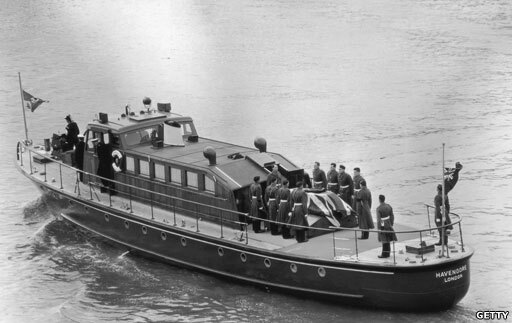 Various historic tug boats, steamers and lifeboats will be seen on the Thames honouring the Queen. RNLI lifeboats have rescued more than 177,000 people since the Queen came to the throne 60 years ago. Taking part on June 3 is Eastbourne RNLI Lifeboat Station's new £2.7m Tamar lifeboat, named RNLI Diamond Jubilee in honour of the Queen who is an RNLI patron. The Duke and Duchess of Kent will be on board. Wheldale will be among the tugs in the flotilla. Built in 1959, it transported coal from Yorkshire mines via the Aire and Calder Navigation canal to Goole docks until 1986. It was bought by The Yorkshire Waterways Museum in 1997 and restored. The oldest working passenger vessel the steamer Alaska is in this category, along with Kariat, a launch representing the Lord Lieutenant of the Isle of Wight. Forty-five Dunkirk Little Ships will be positioned just behind the Royal Section. These ships are just a few of the original 700 private vessels that took part in the evacuation of 385,000 British, French and Belgian troops from Dunkirk in 1940, as part of Operation Dynamo. Five more Little Ships will be moored on the Avenue of Sail. Among them will be MTB102, which carried Churchill and Eisenhower to inspect the D-Day fleet on 3 June 1944, and the New Britannic which rescued the largest number of men - 3,000. "Members are very much looking forward to taking part in this spectacular celebration of her reign and the maritime history of Great Britain and the Commonwealth," said Commodore Richard Basey of the Association of Dunkirk Little Ships. Several boats will accompany the Royal Barge, The Spirit of Chartwell, including support vessels of the former Royal Yacht Britannia such as the Royal Yacht Britannia royal barge (pictured). They will be crewed by the Queen's former Royal yachtsmen, known as Yotties, dressed in ceremonial uniform. Trinity 500s boats rowed by the Marine Society and Sea Cadets will carry the 54 Commonwealth flags. Trinity House No 1 Boat will sail ahead of the Royal Barge, reflecting its traditional role of preceding the reigning monarch when at sea in British waters. 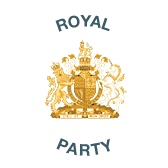 On board will be Princess Anne and Vice-Admiral Sir Timothy Laurence. As the Queen's barge approaches each bridge, a fanfare performed by members of the Band of her Majesty's Royal Marines will herald Her Majesty's arrival. Havengore will sail with the Royal squadron. On board will be the Duke of York, Princesses Beatrice and Eugenie, the Earl and Countess of Wessex, the Duke and Duchess of Gloucester, Prince and Princess Michael of Kent and London mayor Boris Johnson. The craft is most famous for bearing the coffin of former British Prime Minister Sir Winston Churchill up the Thames from Tower Pier to Festival Pier at his state funeral in 1965. His last journey was witnessed by hundreds of thousands of Londoners along the river bank and on bridges, as well as 350 million TV viewers around the world. BBC commentator Richard Dimbleby ended his commentary with the words: "And so Havengore sails into history - not even the Golden Hinde has borne so great a man." The Queen and the Duke of Edinburgh will travel on a gilded barge - The Spirit of Chartwell - specially decorated with flowers from the royal gardens and furnished in 17th century style. They will be joined by Prince William and Catherine and Prince Harry. 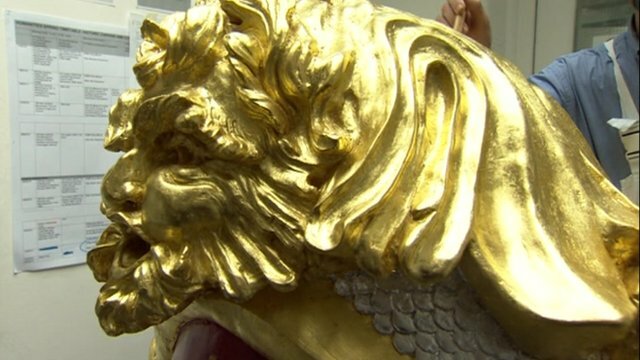 The royal couple will be seated on ornate chairs under a gold canopy as they cruise down the Thames. The sides of the craft will be decorated with red drapes, while the Queen's cipher and a crown will be displayed on the bow. The floral displays will feature a red, gold and purple colour scheme. In this clip, designer Joseph Bennett describes the highly skilled work carried out at the City and Guilds of London Art School on the 64-metre-long barge which was donated for the occasion by owner Philip Morrell. There will be 80 sea kayaks taking part representing canoe clubs from all over the country. The flotilla will include about 15 specially decorated dragon boats. These kind of boats originated in China some 2,500 years ago. Three of these will be crewed by breast cancer charities Paddlers for Life, Lake Windermere and Worcester Busters (pictured). 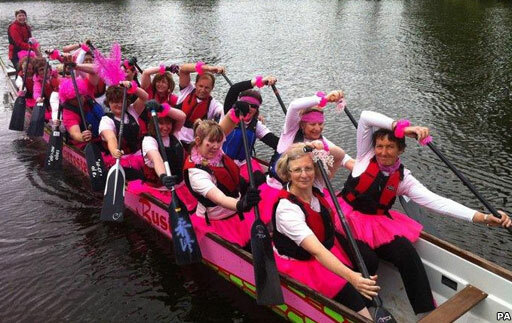 In recent years, the upper body movements used to paddle dragon boats have been found to benefit those recovering from breast cancer surgery, and the clubs that run them provide a valued support network for survivors and their families. More than 188 rowing boats will populate the River Thames in honour of the Queen. Cutters, Cornish pilot and racing gigs, skiffs, longboats, gondolas, lifeboats, kayaks, dragon boats and shallops - elegant pleasure barges used for transporting dignitaries in the 17th and 18th centuries. The Royal Shallop Jubilant (pictured) is a faithful replica of an 18th century barge presented to the Queen for her Golden Jubilee in 2002. Dim Riv, a half size replica of a Viking Longboat, will travel down to the Thames from the Shetland Islands. All rowed boats will "toss oars" in salute to The Queen as they pass her. 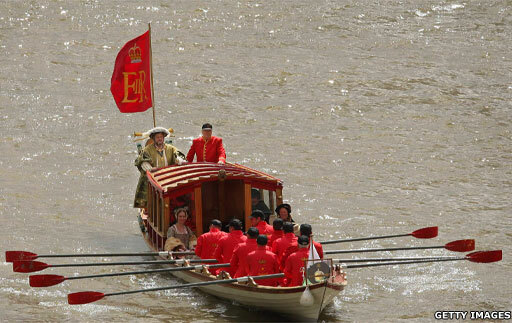 At nearly 90 feet long, the royal rowbarge Gloriana is the largest rowed vessel in the UK. It has been specially built for the occasion and will lead the whole flotilla of more than 1,000 vessels. The gilded barge is made from wood from sweet chestnut trees grown on Prince Charles' own private estate. Although it is called the royal rowbarge, the Queen will not be on board. Olympic gold-medal winner Sir Steve Redgrave and Sir Matthew Pinsent will be among the 18 oarsmen aboard. Lord Sterling who is behind the project said he was inspired by Canaletto's paintings of the Venetian barges of the 18th Century. The Thames Diamond Jubilee Pageant is one of the biggest live events to ever take place in London. It has taken two years to plan and is costing £10.5m of private money. That sum does not include the cost of policing which falls to the taxpayer but Lord Salisbury, who chairs the team that organised the pageant, is promising "a hell of a show ... to thank the Queen for 60 years' hard labour". Expect to see lots of red, white and blue on bridges and buildings along the river bank and hear church bells, fireworks, music and foghorns. Hundreds of boats from all over the UK will move at a gentle speed of four knots down seven miles of river escorting the Queen and the Duke of Edinburgh aboard the Royal Barge, the Spirit of Chartwell, which will be richly decorated in red, gold and purple. Boats that are too tall to travel under bridges will be moored at St Katherine Docks and along a mile-long stretch from London Bridge to Wapping known as the Avenue of Sail. The bascules of Tower Bridge will be raised in salute. Safety and security is paramount - 5,500 police and 7,000 stewards will be on duty. About 30,000 people have been security checked. All bridges and riverside roads will be closed to traffic although Lambeth, Westminster and Blackfriars bridges will be open to the public. There are expected to be about one million spectators on the river banks, and millions watching live TV coverage. Transport for London is urging the public to leave their cars at home and use public transport. 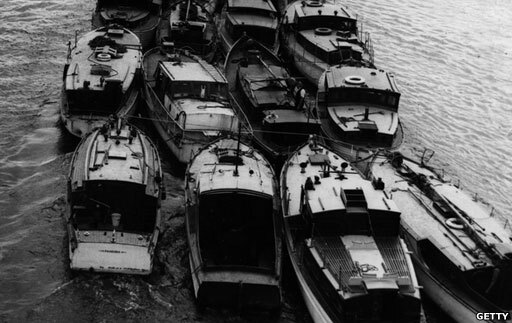 Boats have been grouped by size and type to avoid collisions. Boat owners and skippers, many of whom are not familiar with the vagaries of the Thames, have been given detailed instructions on how to negotiate the 14 bridges - and advised to refrain from drinking alcohol. A "hard shoulder" will run either side of the flotilla allowing rescue boats to deal with any incidents quickly. The closure of the Thames Barrier will help to stabilise the tide. A family-friendly festival takes part in Battersea Park on the day of the river pageant and giant screens will placed in key locations along the river bank.